Home Travel and History Albert Pike Biography: Who Was He and What Was He Known For? Albert Pike was one fascinating character, a multi-faceted individual knowledgeable in a lot of subjects and highly regarded in the 18th and 19th century. His first mark of difference was the fact that he was a jack of many trades, but unlike the proverbial saying, he mastered a majority of them and was a point of reference for many in his lifetime. It is highly doubtful if there has been any like him today because he left very big shoes behind. Some of his legacies created a lot of controversies and theories till date. Some of his accomplishments are captured below. 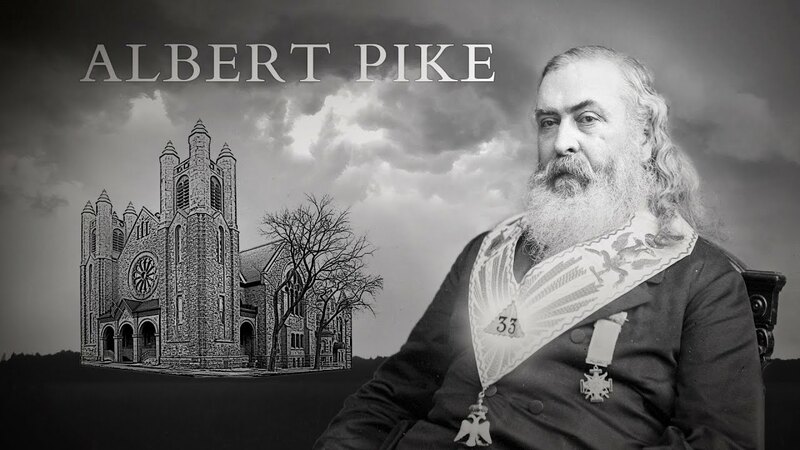 Albert Pike was a prolific American writer, a known Journalist, an excellent Solider, one of the lawyers who helped in the setting up the early courts of Arkansas, and a central figure who aided the founding of Freemasonry in the US. He was born on December 29, 1809, in Boston, Massachusetts. He was one of the six children of Benjamin Pike, a cobbler, and his wife Sarah Andrews. Pike attended public schools in Byfield, Newburyport, and Framingham, Massachusetts and received an education that provided him with a background in classical and contemporary literature, in Hebrew, Latin, and Greek. He passed the examination required for entry into Harvard when he was 15 but was unable to afford the tuition, so he chose to homeschool himself. Eventually, he took up teaching as a profession at schools in Newburyport, Gloucester, and Fairhaven. Beyond teaching Albert was a prolific writer who started with poetry at a young age. He published his first poem Hymns To The Gods at the age of 23 and has written many other proses, poems, and books. Most of his stories and poems were compiled and published in contemporary Journals – Blackwood’s Edinburgh Magazine, Local Newspapers of his day and the Collection of the Hymns To The Gods and Other Poems, all of which were released in 1834, 1872, reprinted after his death in 1900 and 1916 in collections titled Gen. Albert Pike’s Poems, and Lyrics and Love Songs respectively. Moreso, Albert Pike was a Journalist; he accepted the invitation of Charles Bertrand, the then owner of the Whig Party’s Arkansas Advocate in Little Rock – Pulaski County, to work as an editor. Here, he wrote, edited, and published many stories of his adventures in explorations he had earlier embarked on between 1831 to 1833. By 1835, Albert Pike bought over the Advocate as his own. He landed yet another job at the Little Rock as a clerk in the then legislature in 1833 whilst he also pursued a degree in Law. From 1836 to 1844, he served as the first-ever Reporter of the Arkansas Supreme Court in which he was charged with writing all sitting proceedings, and decisions of the court. By 1837, he was inducted into the Bar of Arkansas after his successful examinations. Furthermore, he got a practice permit in 1849. Being his typical self, Albert Pike was a thorough and just lawyer who fought for all his clients’ interest and massively represented them at the different court levels including the Supreme Court. Topmost among his representations, was the case of the Creek Muscogee and Choctaw versus the United States of America in compensation for lands taken in the treaty of Fort Jackson in 1814 in which he got compensation for the tribes in 1856 and 1857. Albert Pike signed up for duty as a soldier during the Mexico- America Civil War; he was a troop commander for the Arkansan Mounted Volunteers. He had a conflict of opinion with higher ranking officers because of his controversial ways. He was later discharged from the military in 1847 after an inconclusive duel between him and Colonel John Selden Roane. When the American Civil War began in 1861, Pike played some very important roles first as Confederate envoy to the Native Americans, then as a brigadier general training regiments. Again he came into conflict with his superiors, got arrested on charges of treason and insubordination in November 1862 but was released after 9 days and he resigned his post. 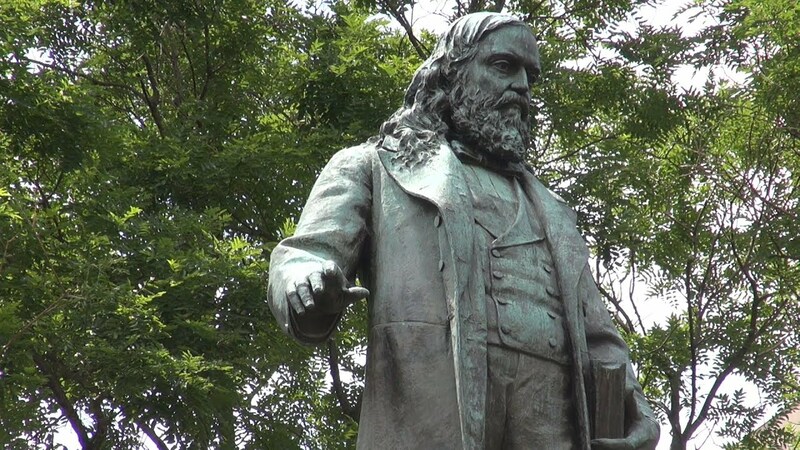 In honor of his many services, the Albert Pike statue was erected at Judicial Square in Washington D.C. He is the only Confederate soldier given that privilege. Albert Pike, Outdoor Statue at the Judicial Square, Washington D.C. In some spheres, Albert Pike was regarded as a prophet because it was said that, in his letter to Giuseppe Mazzini, an Italian Politician, he described how he received a vision of 3 world Wars which will bring about a one-world government. So far, his ‘prophecy’ has proved accurate as two of the world Wars have come and gone, leaving one more war before the prophesied ‘one-world government’ emerges. What Was Albert Pike Known For? Albert Pike is mostly known for his active involvement in Freemasonry. He was one of the brains and genius behind the Scottish Rite fraternity. He got actively involved with fraternities after his discharge from the military in the 1800s and was dedicated to the cause of the Freemason until his death. Summarily, he was the best-known Freemason in the US, as well as Masonry’s most prolific writer of all time whose books still serve as a guide for the fraternality such as the Morals and Dogma of the Ancient and Accepted Scottish Rite of Freemasonry published in 1871. Pike later became the head of the Scottish Rite branch of the Masonic Fraternity, a position he held for 32 years; longer than any other person in history. He was regarded as a prominent man in the Scottish Rite Southern Jurisdiction. His writes ups helped the course of Masonry to further expand in the 20th Century.